Shirley, MA (June 29, 2018) – One person was killed following a head-on collision in Shirley, Massachusetts Thursday night. Local police responded to 134 Great Falls Road in reference to an accident with serious injuries around 11:00 pm. Both cars involved in the crash were found to have heavy front-end damage. Shirley police on scene noted it was “immediately apparent” that the accident was serious. The injured driver was transported by paramedics to a local hospital. Unfortunately, the driver later succumbed to their injuries. Police arrested the second driver on scene although it is not known what charges that driver faces at this time. Shirley police continue to investigate the accident. The deceased individual was not immediately identified in the aftermath of the crash. A fatal car accident is one of the most traumatic experiences that the family of a loved one can experience. Because fatal accidents happen so unexpectedly, there is no time for closure. The friend or family member is seemingly ripped away, suddenly and unjustly. Loved ones are left behind to start the long process of grieving and deciding what to do next. If you are facing this situation, rest assured you are not alone. Even in the darkest times, you have certain legal rights that can and should be protected. In cases of fatal car accidents, the law steps in and provides legal recourse to the family members of the victim. 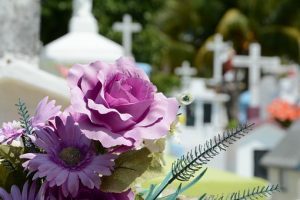 In Massachusetts, a wrongful death lawsuit can be brought against a driver whose negligence causes a fatal crash to occur. Wrongful death lawsuits may be brought in any type of accident from speeding, to reckless driving to OUI and more as long as the negligent act led to death of another individual. At the Law Offices of Jeffrey S. Glassman, our attorneys have years of experience in Massachusetts wrongful death lawsuits. These cases are highly complex and should never be attempted without sound legal representation. At our firm, we will help you pick up the pieces following the death of a loved and will protect your legal rights when it comes to receiving the compensation you deserve. Call us today at 617-367-2900 for a free consultation with one of our team members. We are waiting to hear from you.